Saint Mary’s University of Minnesota has signed an $880,000 agreement with the Minnesota Department of Natural Resources to help inventory wetlands in the state’s Northwest region. 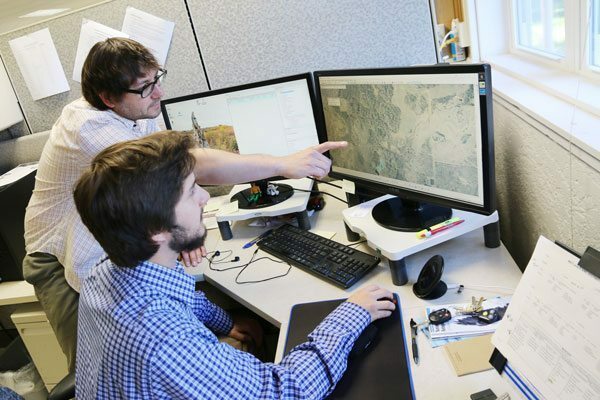 This is the largest single project awarded to the university’s GeoSpatial Services (GSS), a project center that integrates professional services and academic apprenticeships in the areas of natural resource assessment, geographic analysis, and digital mapping. The two-year wetland project, which began in October, involves professional GSS staff working with Saint Mary’s undergraduate and graduate students interested in the fields of geographic information science and environmental science. Saint Mary’s students under professional supervision will be generating the majority of the data for updating the Northwest Minnesota National Wetlands Inventory. Working at the university’s Prairie Island Field Station in Winona, up to 15 students will review digital aerial photos and LiDAR aerial laser measurements, interpret features on the ground, and delineate and classify current wetlands. A large component of this no-net-loss initiative is establishing and updating wetland mapping, also known as the National Wetlands Inventory (NWI). This information can be used by federal, state and local governments, private industry, and non-profit organizations as baseline data for wetland regulation and management decisions, land use and conservation planning, environmental impact assessments, and natural resource inventories.